Periodontal Therapy: What is it and What to Expect? Bello Dental Associates Blog Periodontal Therapy: What is it and What to Expect? Worried about your dentist recommendation of you needing to undergo periodontal therapy? If you have not heard about periodontal therapy before, let us give you a quick insight. Literally speaking, ‘peri’ means ‘around’ and ‘odontal’ means ‘teeth’. An infection affecting structures around the teeth is known as periodontal disease. The structures affected by this disease include the gums, the cementum enveloping the root canal, the periodontal ligament and the alveolar bone. During the initial phase of the periodontal disease-gingivitis- it only affects the gums. In more severe forms of the disease, all of the supporting tissues are involved. The acid caused by plaque eats into the connecting points of your gums and teeth, leading to disconnections. A metal probe is used to measure the severity of this situation. A 1-3mm disconnection can be considered normal. If, however, it is more than 5mm – then it can be determined that the patient is suffering from periodontal disease. After the initial diagnosis, the dentist will perform an X-Ray of your teeth to check for signs of Bone Loss. If bone loss is identified, then it can be said for certain that the patient is suffering from an advanced stage of periodontal disease. 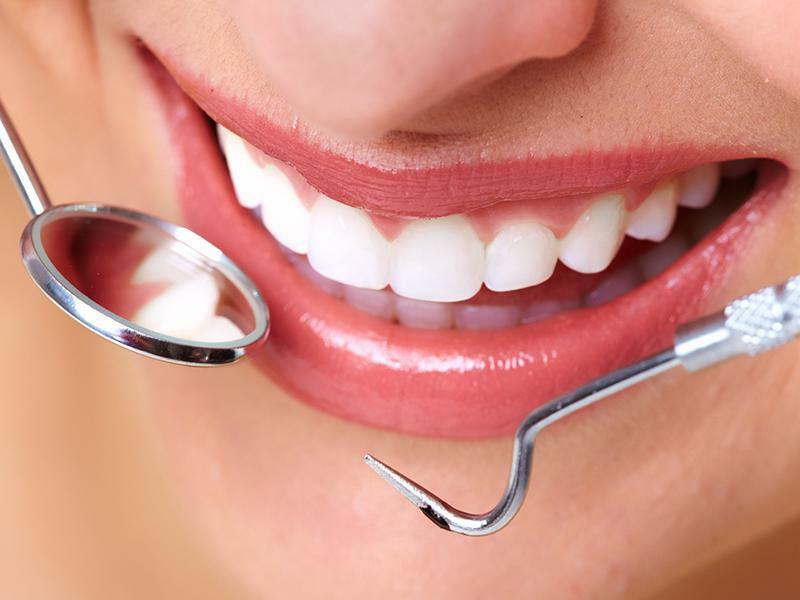 Periodontal Therapy is a three-step treatment process involved in curing periodontal disease. It includes the diagnosis, treatment, and post-treatment procedures. It’s not a simple process and is carried out professionally by dentists. The treatment process will primarily begin with the dentist recommending a behavioral change. It has been observed that most of the patients suffering from Periodontal Disease had ceased all their oral hygiene habits for a temporary duration. Neglecting your oral hygiene can quickly lead to infectious gums and eventually, periodontal disease. Owing to this observed trend, dentists usually suggest a different approach to oral hygiene to start the treatment process. If things do not change after that, dentists move to more surgical forms of treatment. If you are suffering from an advanced stage of Periodontal Disease, the dentist will use more advanced forms of treatment, like Calculus Removal, Bite Therapy, and Surgical Therapy. Calculus Removal involves the removal and cleaning of calcified plaque, otherwise known as tartar, and other bacterial toxins from in between your teeth and gums. This process is also referred to as scaling. So, what is Bite Therapy and Surgical Therapy? These are post-treatment processes where a dentist will examine your mouth for any signs of remaining plaque and infectious activity. It’s the final stage of the therapy.